As the blogging world evolves I sometimes worry about not making my posts more deep and meaningful but I don’t always have something important to say. 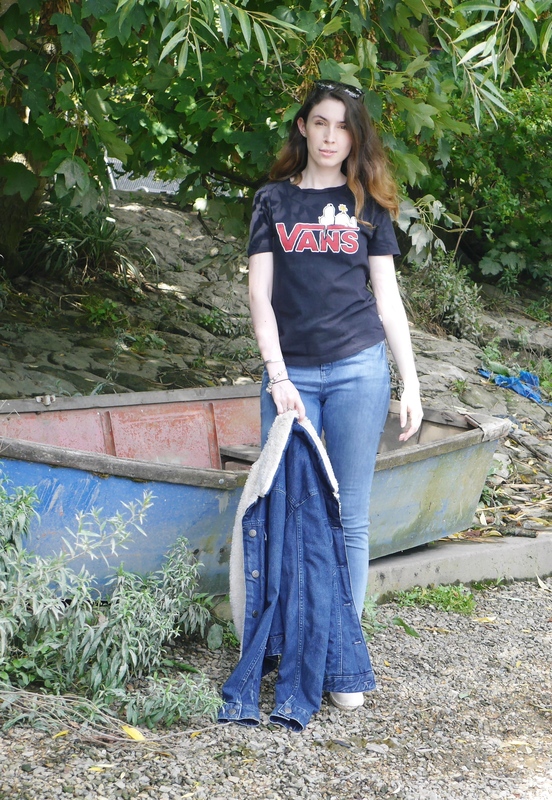 Top – Vans (similar)|Jeans – ASOS|Shoes – ASOS (similar)|Jacket – Topshop (similar). 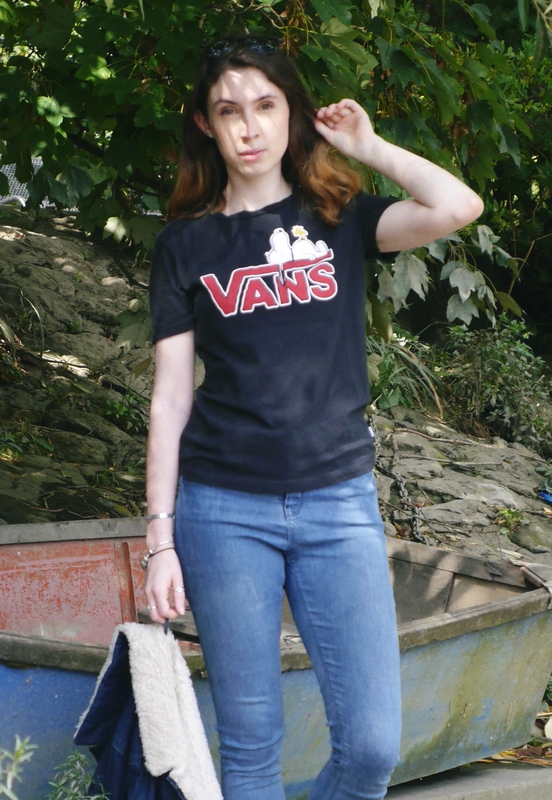 I love old school blogging of just posting an outfit because you liked it and felt confident in it. 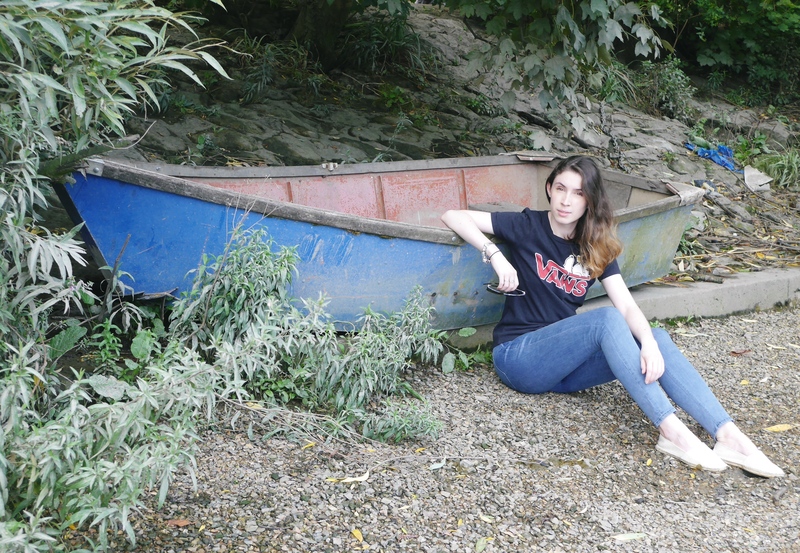 SO here I am with a casual double denim outfit which I made my mum climb down onto the bank of the river to take these photos whilst people walked past and looked at me weirdly as I pretend to be a Vans model. Vans make some of the softest t-shirts ever and I loved their Peanuts collaboration I wish I had bought more of it. The jeans as always are my trusty Ridley High Waisted Jeans which are the perfect everyday pair, stretchy but clings in all the right places. 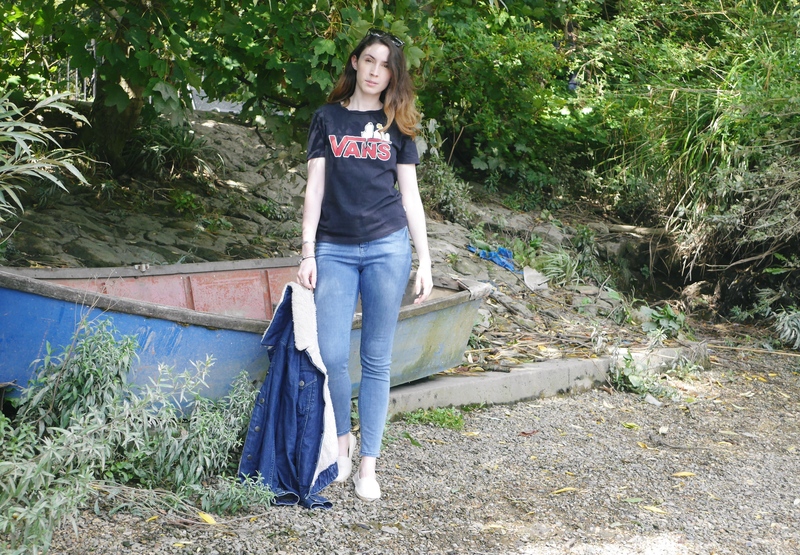 The perfect outfit for walks in the park, coffee breaks and clambering on river banks. This post actually really resonated with me! I know your aim wasn’t to be poignant but it actually kind of was for me, because I feel exactly the same too! I always want to write meaningful, think piece type blog posts, but truth is, I don’t always have something to say! I too need to get back into the habit of just posting because I like the outfit! I love outfit posts! Sometimes I just need a little break from reading the meaningful posts, even I need a break sometimes from writing meaningful posts myself!